Holi is the Hindu festival of colour marking the start of spring. It is a public holiday in India and celebrated with much jubilation, typically through a free-for-all carnival of colours which involves the joyous throwing of coloured powder over friends and family. In 2011 Bertie and Victoria celebrated Holi as part of their wedding celebrations at Diggi Palace. 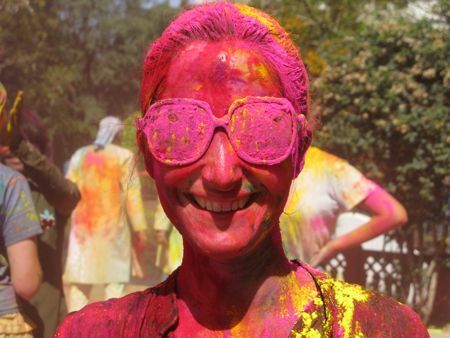 Diggi Palace have hosted a Holi party every year since and it remains one of our favourite places to play. With delicious food, plenty of cold beer and crazy colours Holi is definitely one of the most fun days on our calendar. To incorporate the Holi festival celebrations into your holiday please contact us.